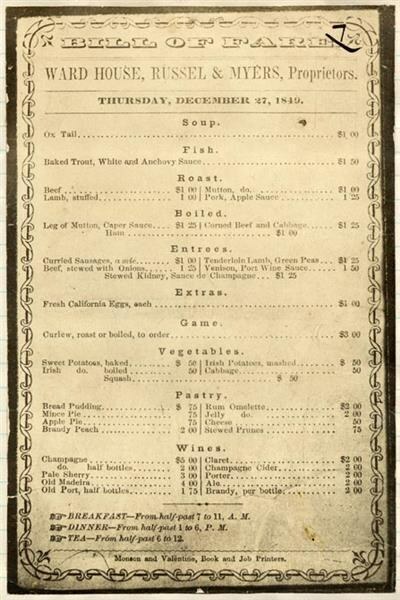 San Francisco has had a long love affair with food. 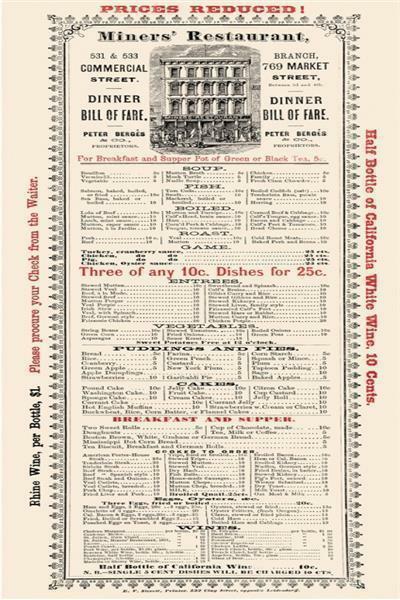 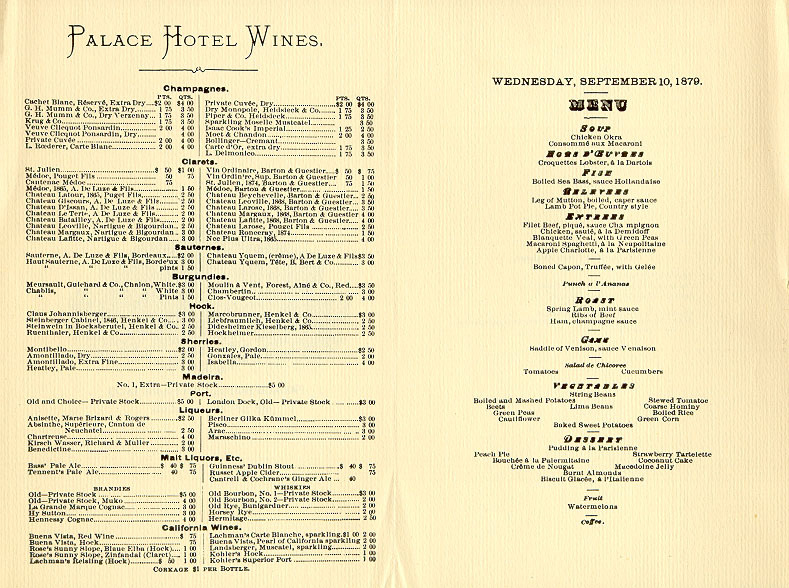 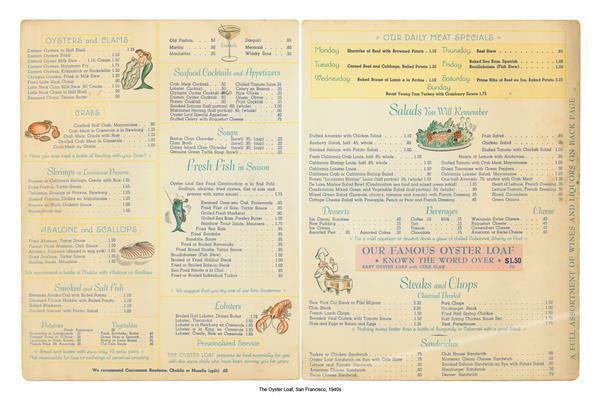 This week, we celebrate our long-held status as a culinary capital of the world with a look at our local restaurant menus of yore. 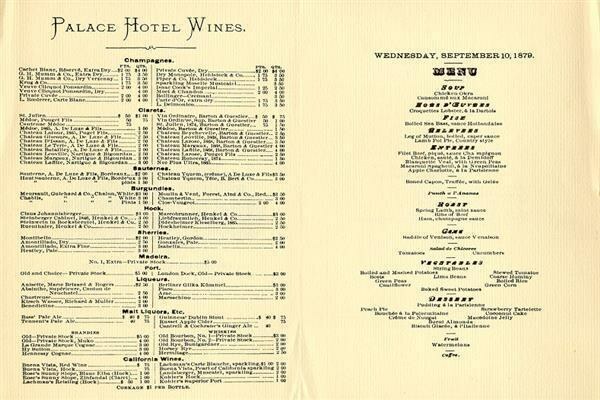 See what was considered to be foodie fare throughout the decades. 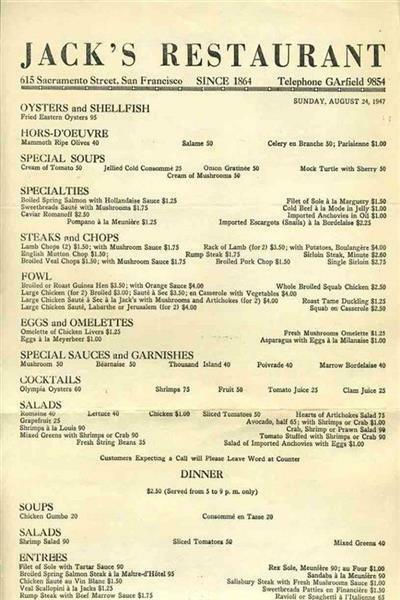 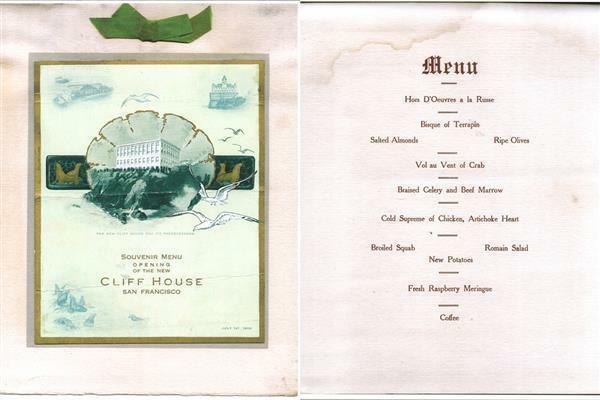 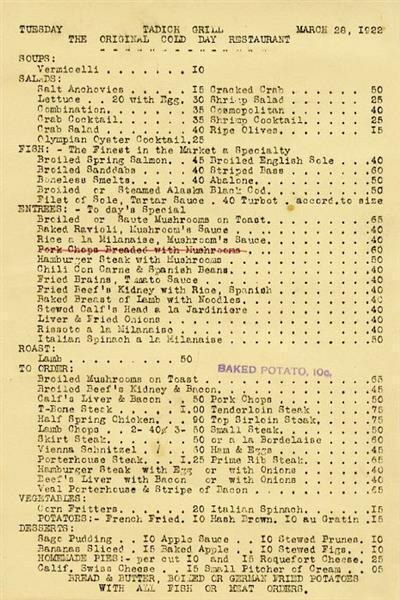 This February 17, 1939 menu is from the New Shanghai Cafe at 453 Grant Street in Chinatown. 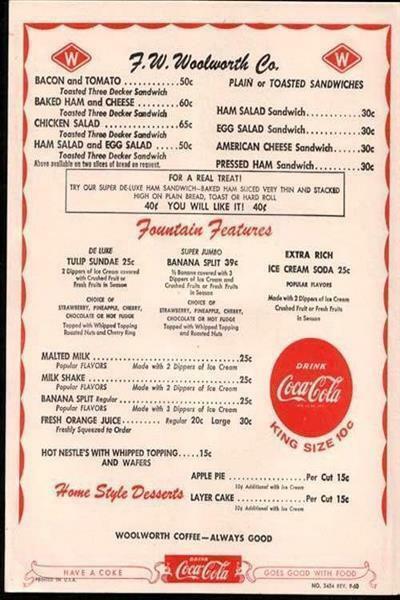 The Golden Gate International Exposition happened that year, which might explain the Americanized options. 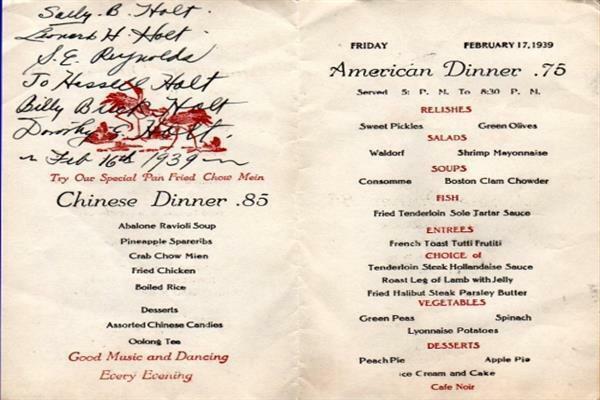 Classic chow mein is on the same menu as french toast tutti frutti.